We have quite a few of these flocking in the area for the last couple of months. 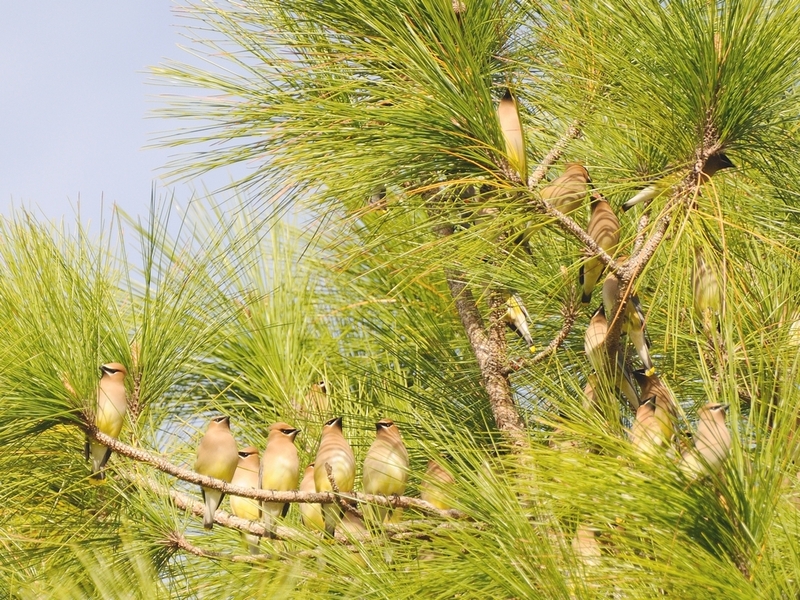 I quite often see them in the pines at the Punta Gorda History Park and feeding on palms around the area. They are small birds, about 6 inches long, and during this part of the year are moving around feeding. They are pretty little things a nice buff/yellow color with bright yellow at the tail tip and a slight splash of red on the wings. They have a small crest which can be seen or hidden depending on the bird. Their wingbeat is extremely fast and the flock is in almost constant motion. I did manage to catch them taking a rest in the pines but, they are usually flitting about constantly. 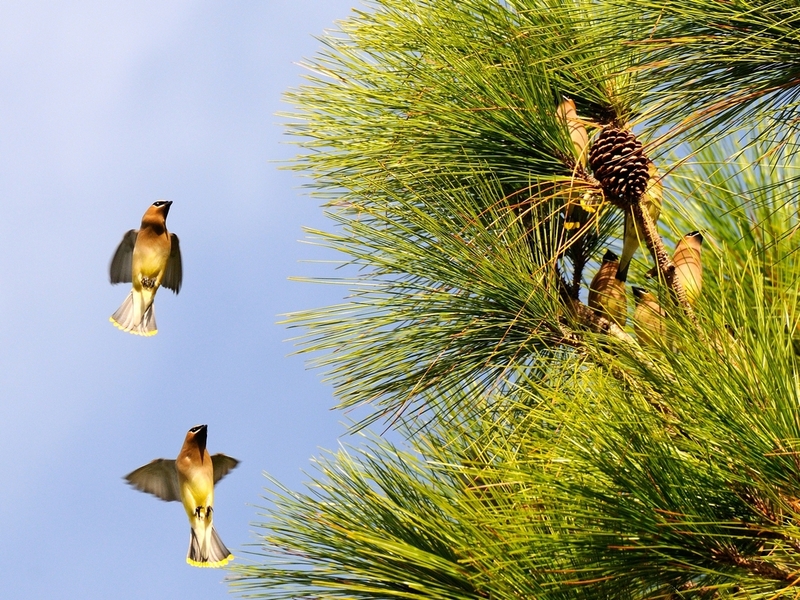 This entry was posted in animal behavior, Bird and tagged bird, Cedar Waxwing, feeding, Photography. Bookmark the permalink.